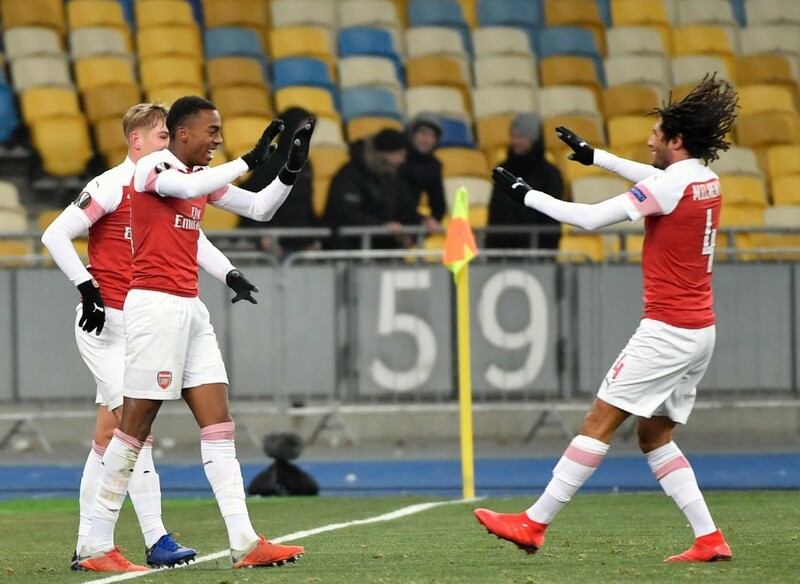 Arsenal confirmed their status as group winners with a comfortable win over Vorskla Poltava in Kiev, with the youngsters in particular impressing. It took 20 games for Arsenal to finally break their first half duck and lead during that period in a game this season, as the Gunners claimed a largely comfortable 3-0 win over Vorskla. The game was marred by the ongoing tensions in Ukraine, and the home side saw little or no support, with the tie being played in Kiev instead of Poltava. Arsenal accomplished the result in the first half itself as they headed into half-time with a 3-0 lead. Goals from Emile Smith Rowe, Aaron Ramsey and Joe Willock sealed the deal for the visitors, although in the way the Gunners played, they could have scored 5 or 6 goals by full-time. 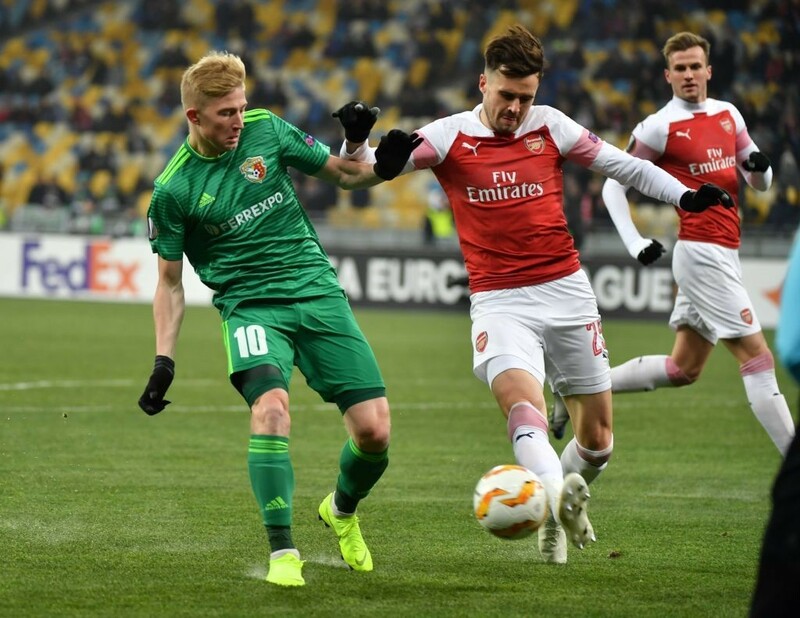 Smith Rowe capitalised on a loose ball after good link-up plays from Ramsey and Eddie Nketiah to score his third goal in six games and second this season in the Europa League. Ramsey was then trapped inside the box and converted the resulting penalty. Finally, Mohamed Elneny found Willock from midfield, and the youngster finished his chance well to score on his full debut for the club. As for Vorskla, this wasn’t a great atmosphere to play in, as the loudest group in the massive stadium were Arsenal’s 500 traveling fans. The Ukrainian side are now knocked out of the competition, while Arsenal have confirmed their status as group winners, despite Sporting Lisbon’s massive win against Qarabag. Here’s how we rated Unai Emery’s men. Not much to do on the evening for the veteran goalkeeper. Made one good save in the second half, while his work on the ball was decent – and much improved than his usual displays on it. Made sure all his passes reached a teammate and commanded the area thoroughly when called upon, which was rare. Standard performance from the Swiss full-back, defending well, and not letting Vorskla any chance to attack. Could have got an assist for a second half goal, but the strike was disallowed. Good outing for Holding, with Emery fielding him as the leader of the defence. Did not put a foot wrong, and was taken off early in the second half, probably with the North London Derby in mind. Performed well despite playing out of position at centre-back. His versatility came to good use for this game as Emery was able to use his experience in different areas when he could not risk other defenders. Additionally, Jenkinson was comfortable on the ball and added some speed to the defence, something Holding lacked in his game. Another outing as the left-back for Maitland-Niles, with Sead Kolasinac being saved for the North London Derby. 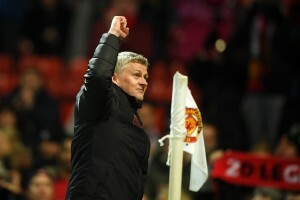 Did play well, although he was complacent at times while passing the ball. Was a real asset while moving forward, in an overall excellent performance. Man of the match. Ramsey scored Arsenal’s second goal from the penalty spot, which he won after being tripped. The Welshman played a crucial role in the build-up to the first goal as well, with his link-up play with Eddie Nketiah helping to that end. Some of his passes were smooth, and his vision was excellent. Through his chances created, Arsenal could have scored more. Making a point with a complete performance. A solid presence in the middle of the park, using his experience and level of the game to help the younger players on the field. Got a good assist for the third goal with a fantastic pass to Willock. Guendouzi’s ability to switch play will always be the catalyst in him playing bigger games ahead of Elneny. The Frenchman’s energy on the pitch was vital in helping the others in what was a largely no-nonsense outing. A fantastic game for the teenager, who played the entire game and continues to grow with each passing performance. 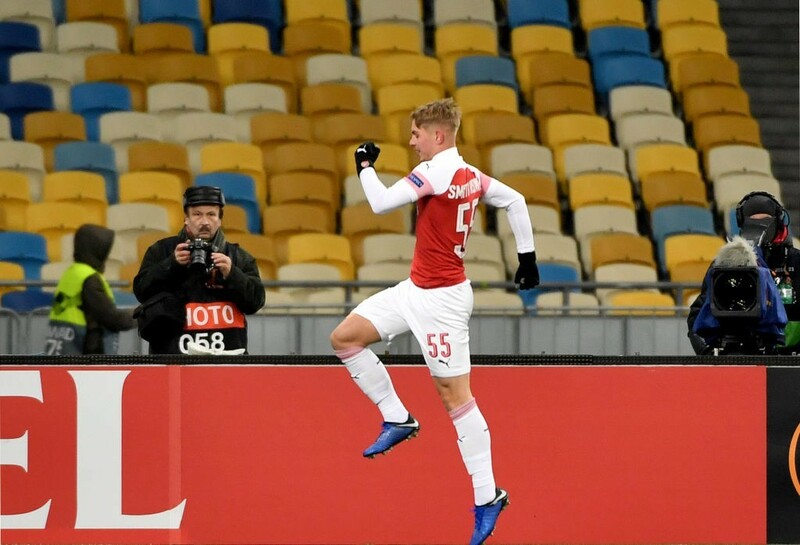 Smith Rowe scored Arsenal’s opening goal in the 10th minute and made sure he finished it well. It looked like he had scored another one later on in the game although the strike was wrongly disallowed for offside. It is looking increasingly likely that the teenage prodigy has a bright future at Arsenal. One could feel this could was a chance for Nketiah to score a few goals. Despite him not getting on the scoresheet though, the youngster did lead the front line well, causing plenty of problems for the Vorskla defence. Like many other youngsters, this could be a building block to future games for the forward. A full debut for Willock after playing plenty of games under Arsene Wenger and Unai Emery as a bit-part player. To top it off, the youngster scored on his first full game. This might just be a stepping stone for the future and it will be interesting to see where his career goes from here on. A good outing, Medley’s first for the senior side. The teenager would have gained some much-needed experience from this game. Tried to make his mark with some quick play, even beating a few defenders at times. There were some inconsistencies with his passing and decision making, although that was entirely expected from a player this young and inexperienced. Not present long enough on the pitch for a rating.